QuickBooks Enterprise 2018 for the desktop is here! This release contains a number of new features as well as improvements to existing ones. Financial accounting software doesn't have to be confusing and costly. That's why we built QuickBooks Desktop Enterprise, flexible accounting software that can grow with your business while providing all the tools you need to organize your books, track sales, and better understand business data through customized reports. Switching to Enterprise is straightforward and thanks to QuickBooks' over 20-year history, finding trained and qualified accounting staff who've already mastered QuickBooks is a breeze. Your industry is highly specialized, and so is Enterprise. With editions dedicated to contractor, manufacturing and wholesale, nonprofit, retail, and professional services, we've tailored Enterprise to work for your industry. Each offers customized capabilities, reports, and features designed exclusively for your company type. Enterprise adapts to your needs, not the other way around. Enterprise scales with your business's growth, supporting from 1 up to 30 individual users. Multiple users can work simultaneously, and 14 predefined user roles help you get new users up and running quickly. Individual user permissions can also be set, letting you control access to sensitive information. 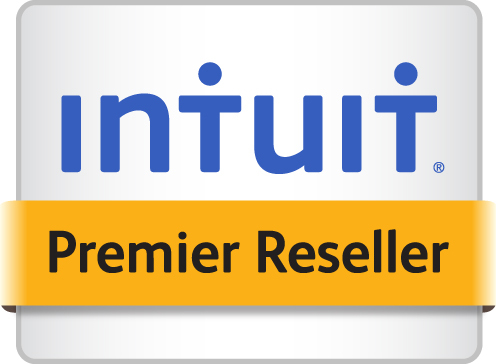 You can track hundreds of thousands of customers, vendors, inventory items, and more — Enterprise can handle more than 6 times as many records as any other QuickBooks product. Our free loyalty program sets you up with a Customer Success Manager who will connect you with our experts to help make moving to Enterprise a breeze. Your Customer Success Manager will partner with you to understand your needs, help you choose the right products for your business, refer you to our best onboarding specialists to get you up and running quickly, and move you to the front of the line when you need support. With our Enterprise with Hosting, everything's stored securely in the cloud. Your entire team works with the same information simultaneously, wherever they are, and from whatever devices they use, including Mac. Discover untapped insights into how your business is running with our all-new Advanced Reporting and build any type of report you need. Combine files from multiple companies and create even more custom reports using ODBC-compliant applications. It's our most customizable QuickBooks reporting tool ever, and it's included in your subscription to QuickBooks Desktop Enterprise. Need more power? Extra features are available, exclusively for Enterprise customers. Advanced Pricing lets you control, customize, and automate pricing changes, and Advanced Inventory lets you track your inventory directly from QuickBooks. Both are included in the Platinum subscription.